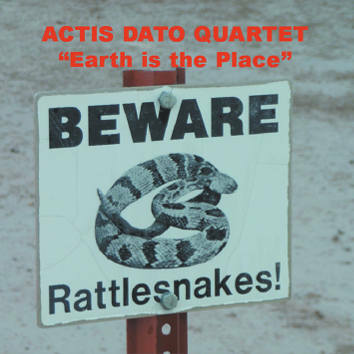 This is the sixteenth CD by Carlo Actis Dato for Leo Records with his regular quartet: Beppe Di Filippo on soprano & alto saxes, Matteo Ravizza on bass, Daniele Bertone on drums and Actis Dato on tenor & barotone saxes and bass clarinet. One look at title "Earth is the place" makes you think of Sun Ra's "Space is the place." Consisting of 11 pieces by Actis Dato, you have 70 minutes of carnival, joy, exuberance, sun and fun. The Italians are unbeatable at creating the atmosphere of total happiness. Do yourself a favour, cheer yourself up!